New Delhi, India – 29 March 2019: Comviva, the global leader in providing mobility solutions, announced that its mobiquity® Wallet Tap and Pay solution will allow issuing banks and third party digital wallet providers to launch contactless mobile payments services quickly and easily in India following the recent RBI guidelines that aim to make the digital payments ecosystem safer. The solution will allow the issuing banks and third party digital wallet providers to launch contactless mobile payment service on their existing digital wallets and mobile banking apps through quick and easy integrations with Comviva’s proprietary software development kit (SDK). At the same time, mobiquity® Wallet Tap and Pay solution will provide the flexibility to launch a standalone contactless payment service, without too much hassle. mobiquity® Wallet Tap and Pay delivers a quick and secure contactless payment experience for the customer by leveraging Host Card Emulation (HCE) and Tokenization. HCE enables the customer to have a digital version of credit or debit card in mobile phone and use it at eligible POS machines, thus eliminating the need to carry the physical credit or debit card. Tokenization ensures that payments are carried out in a secure manner, as the actual card details are hidden while the transaction is being processed. In order to pay, the consumer has to wave their smartphone over a NFC-enabled merchant POS. mobiquity® Wallet Tap and Pay uses tokenization to make each and every transaction safe, generating a unique one-time use cryptogram, which is encrypted and sent to merchant’s point of sale device. As the card details are not shared during the transaction process, the transaction is highly secure. This announcement holds significance as RBI has released guidelines on tokenization for card transactions in January 2019. According to the guidelines, the central bank has permitted card networks to offer card tokenization services to all third-party mobile app providers paving the way for a more secure digital payments ecosystem, especially contactless payments using mobile phones. Comviva is one of the pioneers in contactless payments in India as it enabled a leading private sector bank to launch the country’s first HCE-based contactless payments in 2016. Currently, Comviva is deploying mobiquity® Wallet Tap and Pay at one of the largest payment solutions provider in the country and is in talks with number of banks to enable them to launch HCE-based contactless payments. 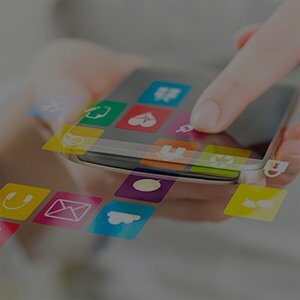 Comviva’s mobiquity® Wallet Tap and Pay solution is a multi-TSP (Token Service Provider) solution, readily integrated and certified for usage with Visa’s VTS and Mastercard’s MDES solutions, and provides support for any other TSP, using a single proprietary SDK, across devices including wearable devices. Comviva is also in the process of providing support for other schemes like RuPay and American Express, to increase acceptability of the solution across more issuers and regions. The solution is also looking to support further use cases like in-app payments, consumer and merchant initiated QR payments, in its endeavor to make all forms of digital payments seamless and secure. Comviva’s single integration platform for multiple devices across the SDK, as well as for server components, allows for single integration to support all TSPs (Visa, Mastercard and any others). The single SDK approach also helps Comviva provide a holistic security mechanism for the SDK, which has been certified by a leading security auditor.